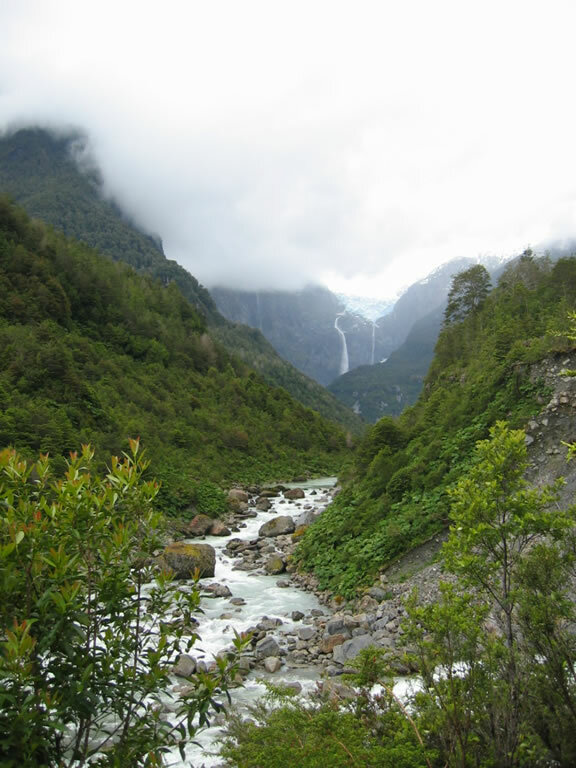 About 22km south of Puyuhuapi, in the centre of the park, there is a small road which leads off to the side for the Colgante hanging glacier. After 2.5km you reach the Centro de Informacion where you need to pay an entrance fee of about £2 each and from here there are a couple of walks. There is also camping available and the sites looked pretty sheltered if a little rocky. 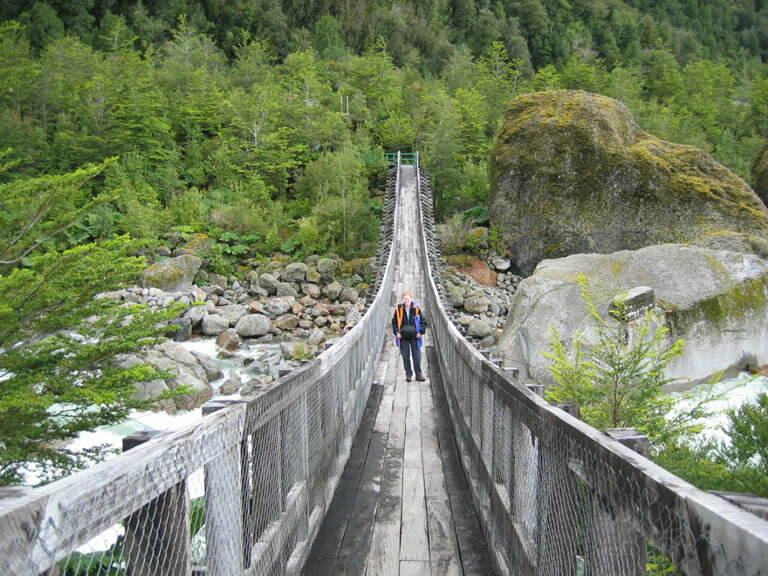 We walked the short path up to the lookout of the Ventisquero Colgante, and then took the hanging bridge across the Rio Ventisquero to walk along the trail through thick forest for a closer view. The morning had been reasonably dry for our walk but as we headed back out in the landy, the rain returned and the weather turned fairly miserable again. The road was narrow and winding through the steep sided fjords and largely following rushing rivers. 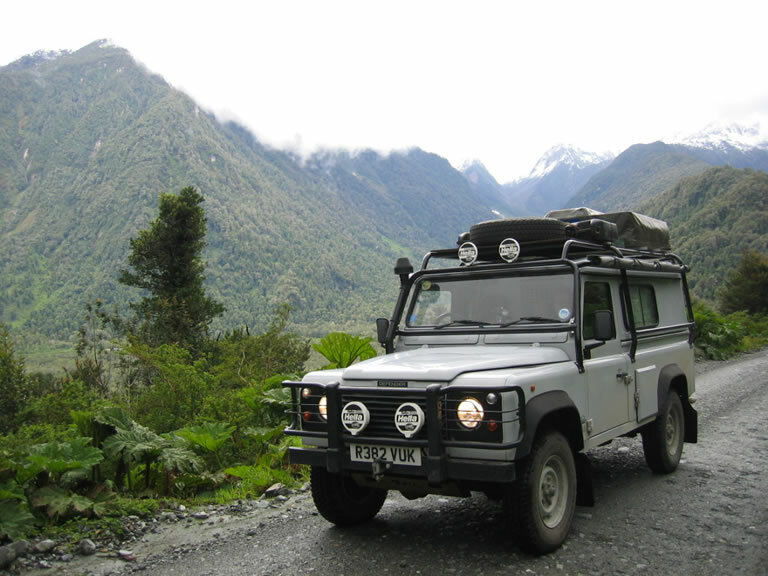 We reached the outskirts of Coyhaique late that afternoon. The road is paved from a point south of Villa Amengual and rather than going straight into the town looking for somewhere to stay, we decided to stop at a campsite north of the town at Camping San Sebastián (3,500 Pesos/£3.50 for the night). It was still raining and the ground was pretty muddy. Not a problem for a roof tent but you could pitch a normal tent on the dry ground under one of the shelters if you needed to. Yet again we were the only ones camping that night!